However, this twelve-week simplified timetable could be used as a checklist and is designed to be flexible in order to assist you in focusing in on your family's priorities for Thanksgiving, Christmas. We believe holiday planning promotes order and harmony, offering you time to evaluate what is really important to your family. Remember, the timetable is merely a suggestion; rearrange, add, or delete activities from the schedule to meet the needs of your family. The timetable is below. 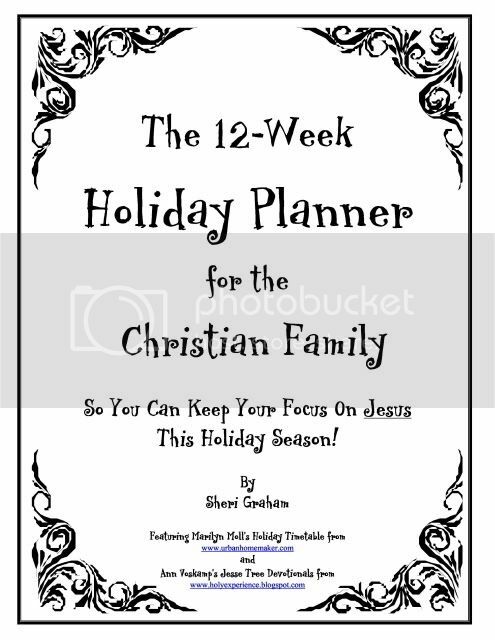 Last year, Sheri Graham wrote The 12 Week Holiday Planner for The Christian Family So you Can Keep Your Focus on Jesus for the Holiday Season based on my Holiday Timetable! Start the Jesse Tree Devotional readings by Ann Voskamp. The Jesse Tree Devotional is different than advent as it tells the whole story of the coming of the Savior starting in the book of Genesis. The devotional includes 30 readings culminating with the birth of Christ. If you purchase the Planner you will get all the devotionals plus the beautiful, colored ornaments designed to be hung on a branch or a tree. The ornaments are a terrific, hands-on way for the children to remember each bible story leading up t o the birth of Christ. 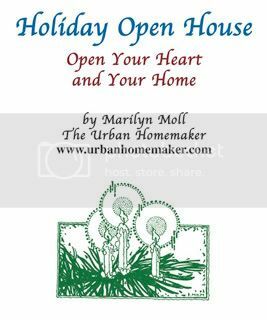 The perfect companion to The 12 Week Holiday Planner is Holiday Open House - Open Your Heart and Your Home. This ebook includes all the information you need to pull off a gracious, memorable open house or party.